Four very vocal little kittens were happy to be rescued from a spot between walls and behind some wires and mechanical components. 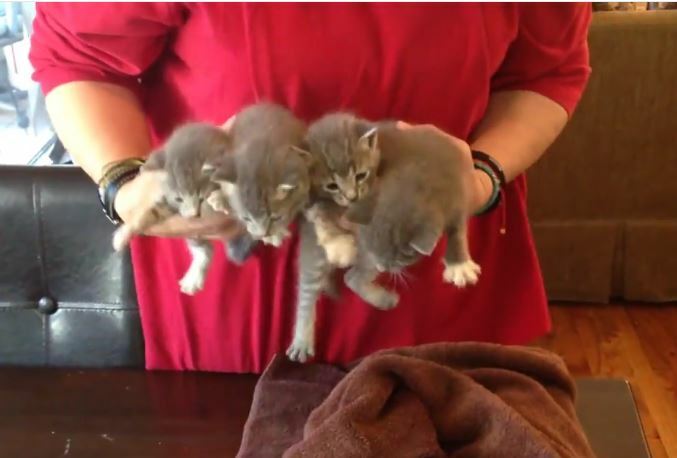 Four very vocal little kittens were happy to see daylight and go to helping hands when they were rescued from an impossible spot between walls and behind some wires and mechanical components. 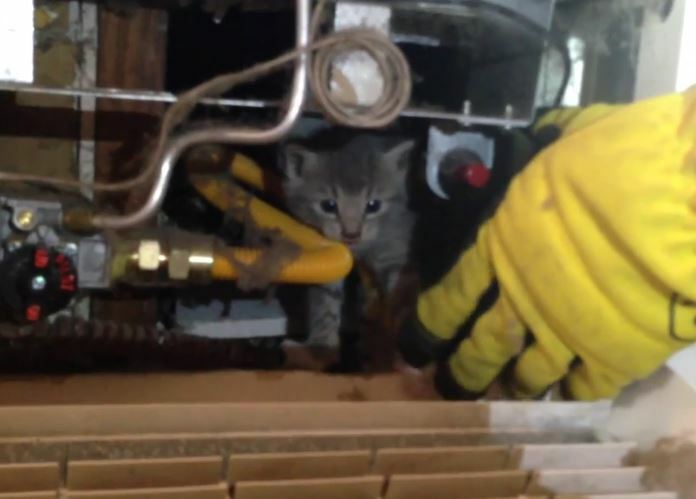 LA Animal Services SMART (Specialized Mobile Animal Rescue Team Los Angeles) was called out to North Hollywood for a report of kittens trapped between walls behind a wall heater. 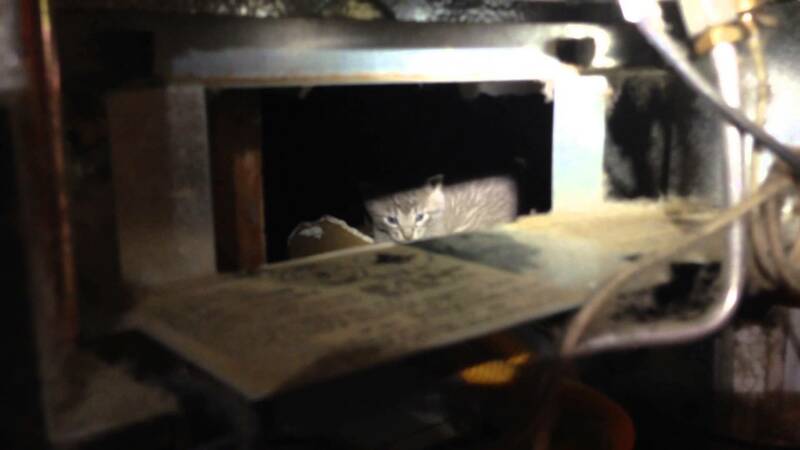 Team members Nav and HD arrived and could hear the desperate meows and could see a small paw through a crack in the wall at the lower portion of the wall heater. An opening was made but human hands could barely fit through the wires and connections of the wall heater so the little kittens helped out with their rescue. In the end, four little lives were saved! It is heartwarming seeing the little kittens making their way through wires and components.meowing all the way, to get to their rescuers’ waiting hands. how did they get in there?